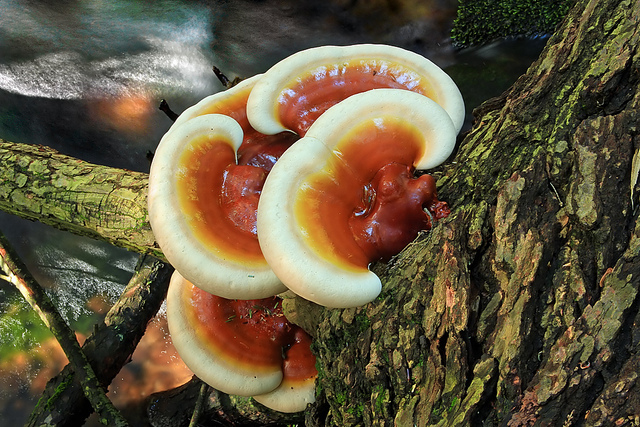 Ganoderma lucidium holds a special place in the annals and the modern day pharmacopeia of Chinese medicine. Known today primarily by its Japanese name Reishi, Ganoderma lucidum captured equally the imaginations of the ancients as well as the current day researchers, earning it many monikers speaking to its longevity benefits, including “The 10,000 Year Mushroom” (from Japan), and the “Mushroom of Immortality” and the “God of Fungi” (from China). Within current Chinese medicine, it is considered that Reishi “acts to replenish Qi, ease the mind, and relieve cough and asthma, and it is recommended for dizziness, insomnia, palpitation, and shortness of breath,” (The State Pharmacopoeia of the People’s Republic of China, 2000). Equally impressed with the potential of Ganoderma lucidum are the convention, Western medicine researchers, who have found that it possesses anti-cancer and anti-tumor, anti-microbial, anti-fungal, and anti-viral (specifically against herpes and HIV) properties, as well as anti-inflammatory and immunomodulatory benefits. Personally, I find that Reishi has a dual nature: It seems to stimulate the body while easing the mind. Athletic performance increases while a deeper understanding and appreciation for our place in the universe and the immediate natural world simultaneous increases. I particularly like to use Reishi leading up to and while in the forest, whether that be a day hike, long bike ride, camping, or the extended wilderness backpacking trips I take yearly to replenish my reserve. It both makes me stronger and more deeply knits my connection to the natural environment. It’s pure forest wisdom. Ganoderma lucidum (Reishi) is commonly available in several forms: the raw mushrooms (including dried, sliced, and powdered preparations), powdered hot water extracts, alcohol extracts (including tinctures), and the raw spores (less widely available). The raw Reishi mushroom is composed primarily of chitin, a long-chain polymer that is indigestible to humans. Chitin not only locks away the nutrients and medicinal compounds present in Reishi, but often causes moderate to severe gastrointestinal distress. This is why it is very important to always use some type of Reishi extract, as the unextracted form in indigestible (this is also why many wild mushrooms, while not poisonous, will cause some type of gastrointestinal distress). While Reishi spores do not contain chitin, they do need to be cracked to allow digestion, as the small-but-hard cell walls of the spore are largely indigestible by humans. Water-soluble extracts of Reishi are efficient at targeting and concentrating the polysaccharides (more on polysaccharides below) but are poor at concentrating the important triterpenoids (again, more on these below). Usually, water extracts are used with preparations of Reishi mycelium. Alcohol (ethanolic) extracts, in opposition to water extracts, concentrate triterpenoids but leave behind the equally important polysaccharides. Because each extraction method has inherent qualities and disadvantages, we use a double, water and alcohol extraction process, which is then blended with one hundred percent RAW, cracked cell wall Reishi spores, which all come together in our Reishi Buddha Blend. In the lifecycle of the Reishi fungus, the mycelium is the in-between, immature life stage that exists between the nutrient dense spore stage and the equally dense but unique mature fruiting body stage. On average, the mycelium is half as potent as the mature fruiting body and it costs considerably less money to produce than the spores or the mature Reishi mushroom. We do not offer Reishi (or other fungi) mycelium because the spores and the mature fungi have higher concentrations of the medicinal constituents present. 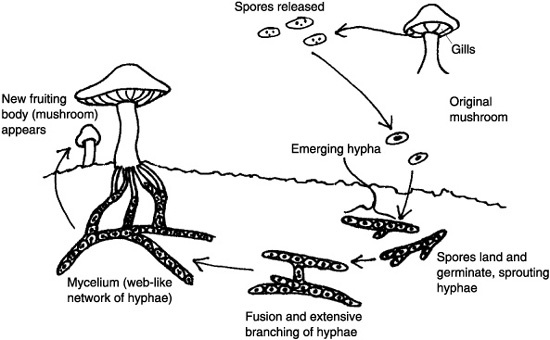 In our opinion, mycelium is akin to under-ripe fruit. In our Reishi Buddha Blend, we use a combination of Reishi spores, which have the highest concentration of the medically important triterpenoids, and a standardized extract of mature Reishi fruiting body. With this formula, we are able to ensure our customers receive the highest benefit—through the high concentrations of triterpenoids, polysaccharides, and other compounds. Some of the most promising contemporary scientific research has been done using a very similar blend of Reishi as our Buddha Blend. All species and strains of Reishi (there are over 250 known Ganoderma strains) fall within the Ganoderma genus, including Ganoderma tsugae, the Reishi that grows in the US and Canada. Within the Chinese Phamacopia (2000), only two species are listed, Ganoderma Lucidum (Red Reishi) and Ganoderma sinensis (Purple Reishi). The American Ganoderma tsugae is not listed (despite the inclusion of other Western herbs, such as Panax Quinquefolius). In Chinese, Reishi is known as Ling Zhi, a name that dates back to the earliest Chinese medical texts, including the Shen Nong Ben Cao Jing and the Ben Cao Gang Mu (considered to be the first official Chinese medicine phamacopia). In historical and in contemporary texts, Ling Zhi refers both to the Red and the Purple Reishi species, despite there being considerable differences in the contents of the medicinal compounds between the two species. Ganoderma lucidum is considered the most medicinal of all Reishi species, with considerable medical and scientific research to support it (some of which will be mentioned below). Red and purple Reishi differ in their levels of the bioactive ergosterol, triterpenoids, and consequently the genetic influence of the triterpenoids on human monocytes (immune cells), with Red (Ganoderma lucidum) being the more potent by over twenty five percent. Quantity differences of the bioactive compounds also exists within the individual species of Reishi, so that a Ganoderma lucidum mushroom grown under certain conditions can have vastly different levels of these compounds compared to Ganoderma lucidum grown in other conditions (this is why the regulation of Duanwood Reishi exists, see below). Unfortunately, we have no side-by-side comparison of Ganoderma luciduim and Ganodermoa tsugae, as the research on the domestic specie is lacking. The quest for Reishi almost predates historical record, as the earliest Chinese medical texts speak of the healing and longevity potential of the Reishi fungi (referred to as Lingzhi in classic texts), and it has long been regarded as a royal substance (at times only the royal were allowed to consume it). 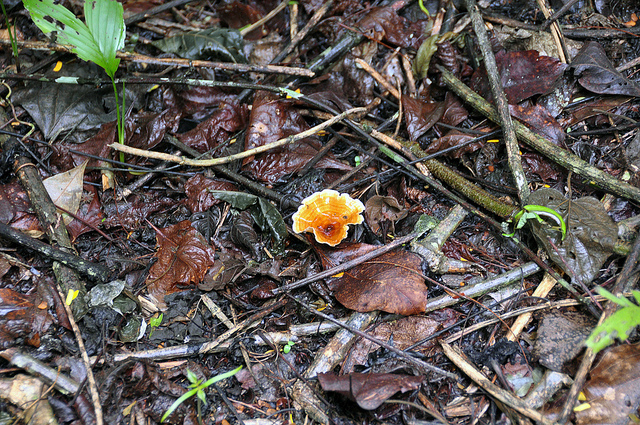 However, the “great Reishi search” began in the 1980s, with the research of the Japanese scientist Dr. Yoshi. Dr. Yoshi, upon learning of the anti-cancer benefits, began the great search to find the most potent, bioactive strain of Reishi. His research, backed by cancer treatment funding from the Japanese government, eventually led him into specific areas of China which were rich in a particular strain of Reishi (Duanwood) that grew specifically on hardwoods. Dr. Yoshi analyzed this strain and found that it met his strict standards. The fruiting body of the Duanwood Reishi offers the highest concentration of the many medicinal compounds that have been identified in the mushroom. This specific variety of the species Ganoderma lucidum is the Olympic standard of Reishi. The cultivation of Duanwood Reishi is done under a more stringent certification and regulation process than current USDA organic certifications. 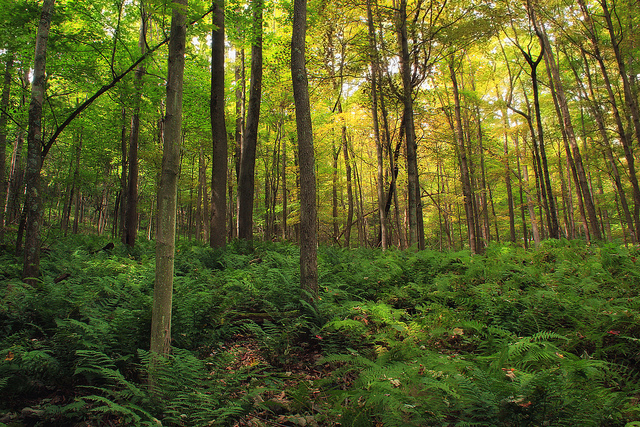 The governmental regulations of Duanwood specify the strain and variety grown, the type of hardwoods it is grown on, the soil that those hardwoods are placed within (requiring a specified nutrient density), and the regulations also ensure that no pesticides or other chemicals are used in its cultivation. These regulations ensure a high quality product, beyond offering a simple organic certification. Furthermore, our the spores and extract are certified Duanwood Reishi but is also certified USDA organic. The Reishi, like all mushrooms and fungi, are composed of approximately 90% water. This is one of the reasons why producing standardized extracts of mushrooms are so important, since the simple act of drying a mushroom (removing the water) has the general effect of producing a 10:1 concentration. All mushrooms are a good source of protein, with their protein content accounting for ten to forty percent of their non-water weight. Total carbohydrates account for three to twenty eight percent of the non-water weight, and fiber for three to thirty two percent of the non-water weight in mushrooms. Additionally, mushrooms are a good source of essential vitamins and minerals. Specifically, Reishi (Ganoderma lucidium) is on the high end for fiber, low end for carbohydrates, and on the moderate to high end for protein content. Various polysaccharides which are responsible for the red color of the RAW Reishi mushroom. The major medicinal compounds in Reishi (Ganoderma Lucidum) are the triterpenoids (further divided into Ganodermic acids, Ganodermic alcohols, and Lucidenic acids), the polysaccharides, and the beta-glucans. In selecting a Reishi extract or preparation, it is important to note that triterpenoids appear to be hydrophobic, and are present in ethanolic (alcohol) extracts; and polysaccharides are water-soluble and are the main compound in water extracts of Reishi. Beta-glucans, as a subtype of polysaccharides, are found primarily in water extracts. Triterpeniods, also known as triterpenes and Ganoderic acids, are, along with the polysaccharides, one of the two major active medicinal constituent found in Ganoderma lucidum. Research has shown the immunomodulating effects of triterpeniods, where Reishi has alleviated common allergies by inhibiting histamine release, improved oxygen utilization, and improved liver function. Triterpeniods are bitter in taste (Reishi extracts should be bitter in taste, which demonstrates the triterpeniod content) and the level of the triterpeniod content contained in a product can be determined by the bitterness. A simple definition of immunomodulation is that Reishi has the ability to stimulate an underactive immune system (as in HIV/AIDS) and the ability to slow down an overactive immune system (as in autoimmune disorders). This benefit is especially important, with the currently high rates of immune disorders throughout the population. Without performing laboratory, UV analysis, the potency of Reishi fungi can be somewhat ascertained by the level of triterpenoids present simply by tasting it. The more bitter the Reishi is, the higher the level of triterpenoids that are present. However, it is important to note that roughly half of its medicinal benefits are due to its polysaccharide (and beta-glucan) content, and that polysaccharides tend to be sweet in taste. The Ganoderic acids C, A and D (all subcategories of triterpenoids) appear to have the greatest anti-allergy activity (in the order listed), inhibiting histamine release. Additionally, the Ganoderic acids B and D may reduce hypertension. Some studies suggest the powerful, positive effect that Reishi has on the immune system may perhaps be the most promising medicinal property of the fungi. Reishi has a stabilizing effect on immunoglobulin levels, with benefits for sufferers of bronchitis, bronchial asthma, and allergies. Furthermore, Triterpene content may explain Reishi’s ability to alleviate altitude sickness, as reported by Chinese mountain climbers ascending unassisted to as high as 17,000 ft. While there are several beneficial subcatagories of triterpenes (as mentioned above), triterpenes are actually a subcategory of the larger class of terpene. Terpenes are naturally occurring compounds and are widely distributed throughout the plant world. Many subtypes of Terpenes have been found to have anti-inflammatory, anti-tumourigenic (anti-tumor and anti-cancer), and hypolipidemic (decreases levels of lipids in the blood) effects. Within Reishi, there are over 140 different types of triterpenes and triterpenoids, which have been shown to have remarkable pharmacological and therapeutic activities, including anti-cancer effects. Studies have shown that many subtypes of Reishi triterpenes can directly induce apoptosis (cell death) of multiple human cancer cell lines. The cytotoxic effect varied greatly between different subtypes of triterpenes, but all subtypes are present in Reishi. Some of the subspecies of triterpenes have shown strong cytotoxic effects at low concentrations in various human cancer cell lines, including Ganoderic acid T. Ganoderic acid T is the most abundant triterpenic acid found in Reishi and it shows significant anti-cancer effects in both in vitro and in vivo studies. In a study (Chen et al, 2010), Ganoderic acid T was shown to inhibit tumor invasion by inhibiting tumor cell expression. Furthermore, Ganoderic acid D (another subtype of triterpenes) has been shown to directly bind a specific protein (Yue et al, 2008), which may contribute to the cancer cell apoptosis mentioned above. Ganoderiol F, another class of triterpenes, which are found in Ganoderma lucidum, has shown cytotoxicity in vitro against Lewis lung carcinoma (LLC), a type of lung cancer. Additionally, the anti-tumor effect of Ganoderiol F (GA-F) has been demonstrated rats implanted with LLC tumor cells. It is our understanding based on the science and our practical knowledge of medicinal plants and fungi that no one subtype or subgroup of Ganoderic acids holds the key, but that they all work together as a unified whole. Reishi is officially listed as a substance for treating cancer by the Japanese government. In comparison to its other properties, Reishi has received the most attention as a source of antitumor activity. This action, in conjunction with the triterpenes , is due to immunostimulating polysaccharides, particularly those known as Beta-D-Glucans. The majority of scientific and medical research that has been done with Reishi has focused on the anti-cancer and anti-tumor activity, followed by the more general immune system benefits of Reishi, which is why the majority of scientifically validated benefits of Reishi are focused on cancer and the immune system. The exact nature of the relationship between the enhancement of the immune system and the longevity claims of Reishi are not well understood, the connection is obvious and can be positively surmised. Some of the most promising research done on the anti-cancer properties of Reishi has been done by Dr. Fukumi Morishige, M.D., Dr. Med. Sci., Ph.D., a former heart surgeon and cancer surgeon. Dr. Morishige performed extensive research on the action of Reishi on the immune system. In one study, he gave two groups of patients Reishi extracts. In those patients who had shown high readings of immunoglobulins (IgA, IgG,IgE, IgM), their counts had lowered, while those who previously had low counts now showed the same antibodies but now in higher counts. This research shows the immunomodulation, not simply immunostimulating, effects of Reishi. This is particularly important as many people suffer from auto-immune disorders, where the immune system is already overly stimulated, such as in the case of rheumatoid arthritis (RA), insulin dependent diabetes (Type 1/Early Onset), and asthma. Prior to Dr. Fukumi Morishige research, in 1979, researchers in Poland found that an RNA from Reishi disrupts viral diseases by inducing the production of interferon (the body’s naturally produced anti-viral defense). This RNA was found in the fruiting body of Reishi. Reishi Polysaccharides increase RNA and DNA in the bone marrow where immune cells are produced, including lymphocytes. While there are many types of active polysaccharides in Reishi, one class is the D6 polysaccharide. Researchers in Beijing demonstrated the bone marrow genesis effect of D6 injecting it into mice over the course of a week and then monitored the changes in DNA and RNA in the bone marrow. Increases were roughly 50%. Protein in bone marrow also increased by as much as 28.5%. It is in the bone marrow that the body manufactures B-cells which in turn produce antibodies. It is also where macrophages have some of their earliest beginnings. Reishi polysaccharides also augment the responsiveness of antibodies, particularly IgG, by expanding the "memory" of T-cells. IgG constitutes a major class of antibodies in human serum that act to enhance phagocytosis (the cell-gobbling action of certain immune cells) and neutralize toxins. Beta Glucans are found in many medicinal mushrooms and fungi and are a subclass of polysaccharides. Beta Glucans are found in Shiitake, Maitake, and Reishi mushrooms and fungi. Research has shown Beta Glucans to be powerful and important anti-cancer compounds. Research into the method of action (MOA) of Reishi beta glucans as anti-cancer compounds has been done by researchers Jurczynska, Saczko, and other, at the Wroclaw University of Environmental and Life Sciences, in Poland. Their research has shown that Reishi “Beta-glucans participate in the processes of repair, metabolism, and detoxification, and affect the overall health of the body, counteract the pathological conditions of reactive oxygen and nitrogen and the processes in which they participate.” Nitrogen and reactive oxygen have a critical role in the pathogenesis of a number of human diseases, including cancer. Beta Glucans lower oxidative and nitrosative stress and thus acts as an anti-cancer compound. “Reactive oxygen and nitrogen react with proteins to cause impairment of their function [and] nitric oxide enhances the effect … and becomes a mediator of inflammation.” Inflammation, as most medical scientists have known for a long time, is associated with the development of cancer. In the language of Chinese medicine, cancer and inflammation are synonymous with heat. Beta-Glucans are known as "biological response modifiers" because of their ability to activate the immune system, with important, positive effects upon a variety of immune disorders. The benefits to the immune system are one of the most widely research and appreciated benefits of Reishi to conventional, Western researchers. In our (RAW Forest Foods) opinion, the positive effects that Reishi has upon the immune system and its ranking as one of the most important longevity tonics is no coincidence. The EFSA NDA panel concluded a cause-and-effect relationship between the consumption of beta-glucans and the "reduction of blood cholesterol concentrations;"
The EFSA NDA Panel stated that "Regular consumption of beta-glucans contributes to maintenance of normal blood cholesterol concentrations." There is a lot of misinformation surrounding Reishi, which is unfortunate because it lessens both the rich historical tradition that it imbibes and the current (since the 1980's) blossoming of promising, scientifically factual research done on the mushroom. With an extensive history of use of Chinese (and other traditions) tonics and medicinal mushrooms and fungi, at RAW Forest Foods we keep on returning to Reishi. As stated above, it captures the mind and the imagination, it is no surprised this fungi strengthens the body and the spirit (the Shen). When you meet a Reishi in the wild you are in the presence of a fungi that obviously holds the wisdom of the forest--and when you use a quality Reishi preparation, you can feel this wisdom. We look forward to the continued blossoming of scientific research done on Reishi and look forward to the continued exploration of the classic texts on it. This information is provided for informational use to our customers and other visitors to our website. This is original content produced by RAW Forest Foods LLC, © 2014. *These products have not been evaluated by the FDA. Any statements within this site or within RAW Forest Foods’ site have not been evaluated by the FDA. This (or any) product is not intended to diagnose, treat, cure, or prevent any disease.